This makes a lovely gift for anyone who likes to keep their ‘treasures’ safe! 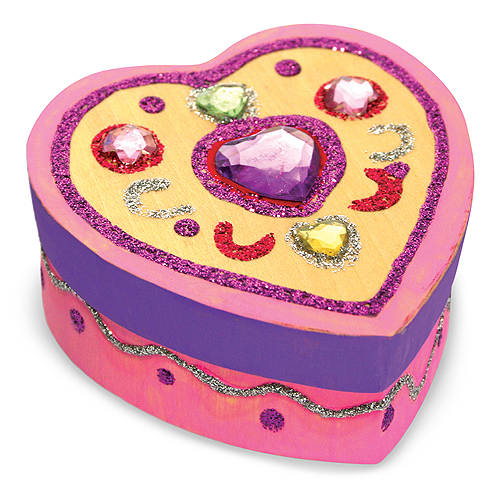 It’s a lovely project from Melissa and Doug, where the child can decorate the heart shaped wooden keepsake box (3.25″ x 2.75″ x 1.5″). 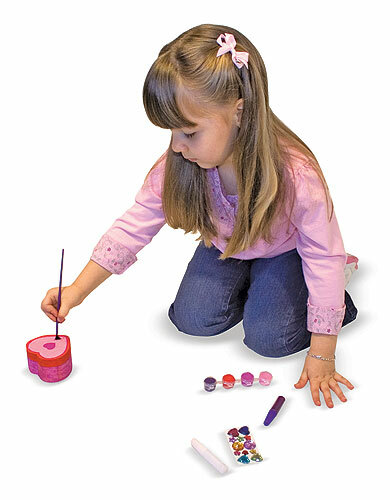 Included is glitter and craft glue, colourful gems, 4 pots of paint and a brush! A perfect activity for parties or rainy days. 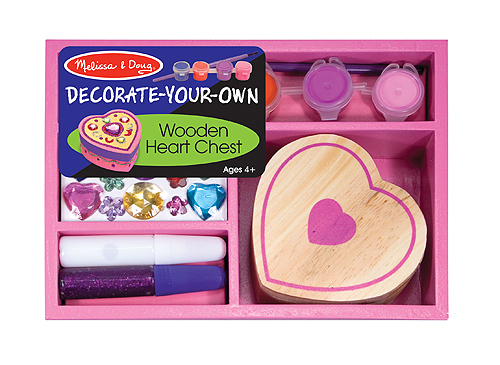 Melissa and Doug make great quality, easy to do crafts and this wooden heart shaped boxed is no exception. This makes a lovely gift for anyone who likes to keep their ‘treasures’ safe! 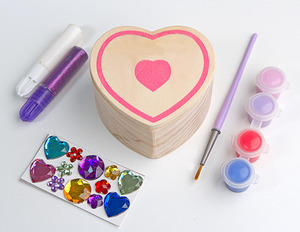 It’s a lovely project from Melissa and Doug, where the child can decorate the wooden heart shaped keepsake box (3.25″ x 2.75″ x 1.5″). Included is glitter and craft glue, colourful gems, 4 pots of paint and a brush! A perfect activity for parties or rainy days. Melissa and Doug make toys for all price ranges and this cheap Melissa and Doug toy is ideal for a birthday or Christmas present. Check out this short video of Melissa (from Melissa and Doug) sharing about what makes Melissa and Doug Decorate your own products stand out from other arts and craft products.